Helpful Hints & Tips - Fornear Photo | Husband & Wife Wedding Photographers Traveling the Midwest & Beyond! We especially love photographing creative Offbeat Bride couples and laid back couples for their Northwoods wedding alike... simply put, we like celebrating YOUR unique personality for YOUR wedding day! So much goes into a wedding from picking out the rings, choosing your colors, planning the engagement shoot and of course the venue, the flowers, the food and music. 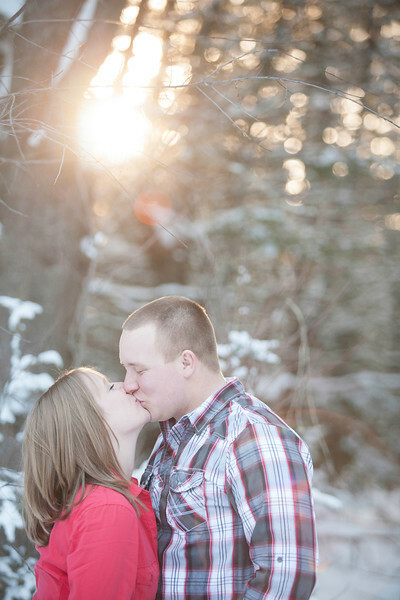 To help save you a bit of time below is a list of tips for your engagement session photography with Fornear Photo as well as vendors we have worked with before. This is the time that you can get comfortable in front of the camera to get a taste of what it will be like on your wedding day as well as letting you get familiar with our shooting style as a team. We encourage our couples to BE THEMSELVES! This means have fun, be goofy and share your passions... weather it’s tattoos, music, craft beer or more! Though we LOVE your family and friends and can’t wait for the wedding to get to meet them all, it’s best to leave someone like mom at home for the engagement session itself so we really can focus on amazing shots without any distractions and get to know you and your fiancé! Gals, this is also a great time to practice your hair and makeup for the big day. Don’t forget a mani / pedi… we will probably be taking images of your amazing ring! We typically like to plan your shoot a few hours before sunset of the given day if schedules permit. That said, starting on time is really important so please come ready to shoot (unless otherwise discussed with us ahead of time.) We suggest to bring 2-3 outfit changes for each of you that include bright, coordinating but not matchy-matchy, colors & patterns. Don't forget your fur baby, we love pets so we are happy to have them in your photos as well. Also, if you have any special props you would like to incorporate such as blankets, banners, beer, chalkboards, signs, activities like bikes, snowboarding, waterskiing, snowmobiles, bowling… you get the idea, we are up for anything! We love these vendors and think you will too! We have worked with many different people throughout the years in many different locations, below is a list of some of our favorites that happen to reside in the Northwoods.